Body Worlds: Dr. Gunther von Hagens, Body Worlds. Dr. Gunther von Hagens, Body Worlds. 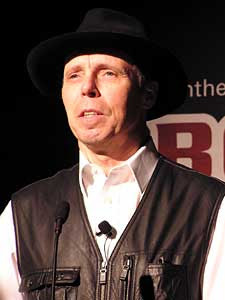 Dr. Gunther von Hagens creator of Body Worlds. 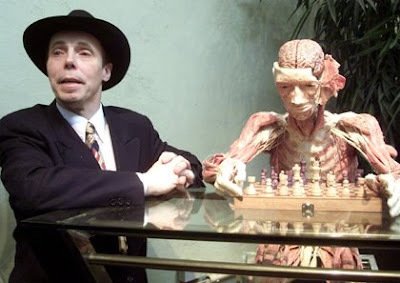 Dr. Gunther von Hagens at Body Worlds with his chess player creation. Dr. Gunther von Hagens at Body Worlds with his female on a swing creation. 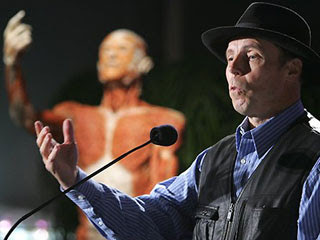 Dr. Gunther von Hagens, Body Worlds. And Female Plastination. Dr. Gunther von Hagens talking about Plastination.